Is there a better alternative to iShowU HD Pro? 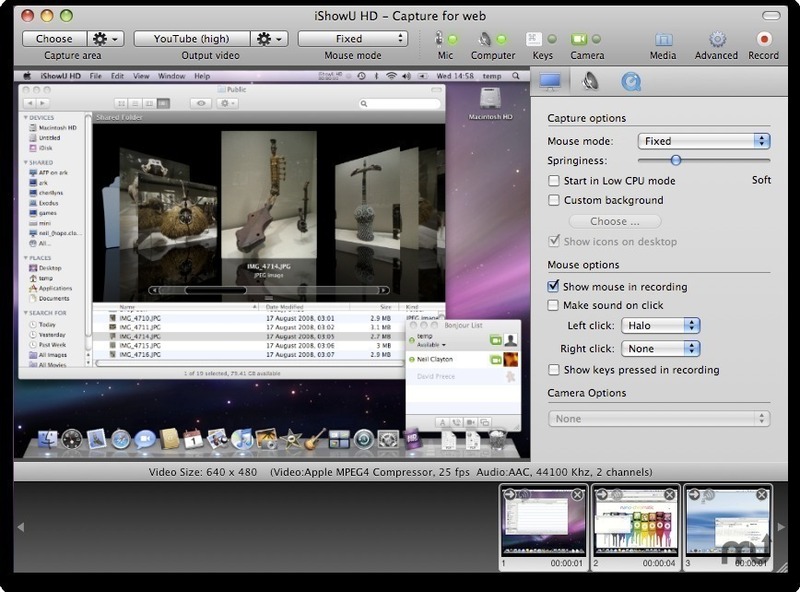 Is iShowU HD Pro really the best app in Presentation Tools category? Will iShowU HD Pro work good on macOS 10.13.4? iShowU HD Pro is the pinnacle of realtime capture. Faster than ever with more features to boot! Create tutorials, make a demo for the web, record your favorite game (World of Warcraft! ), collaborate on UI design, show tech support what's really going on with that broken program. Instant Capture: No need to export the video for it to be usable1. 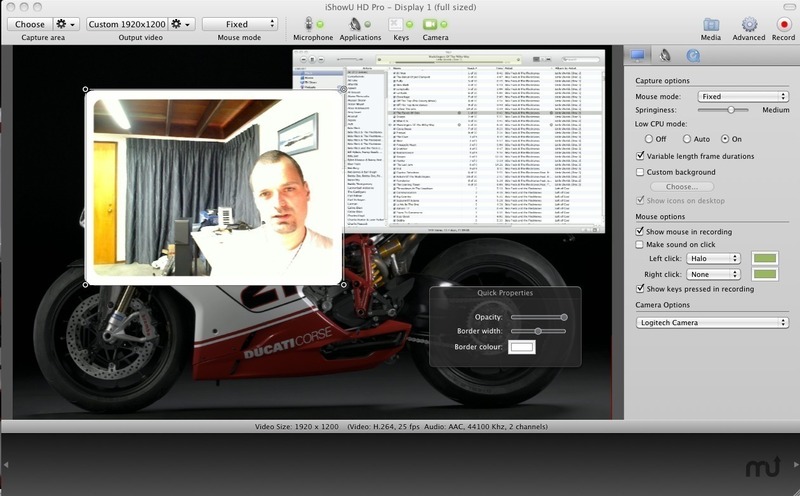 Once recording is complete you can immediately email it, or drag it into a video editor for further editing. 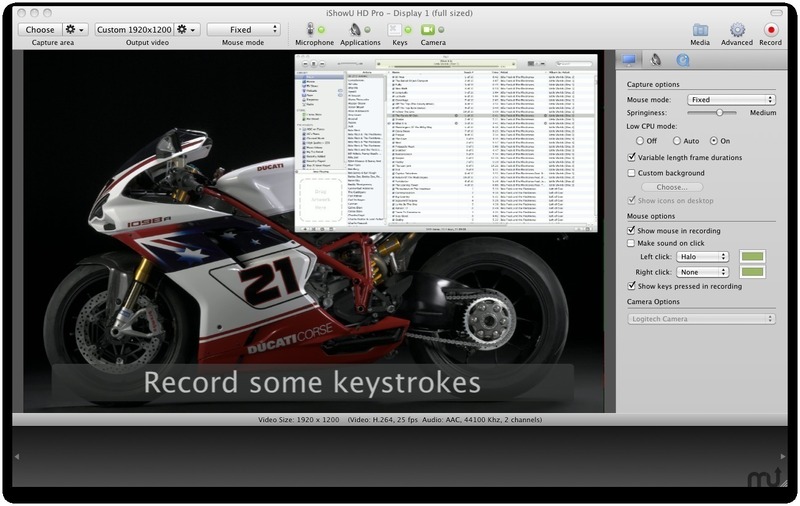 Record Keyboard & Mouse: Show your viewers the keys you're using to perform tasks (HD Pro only). Record Keyboard & Mouse: Show your viewers the keys you're using to perform tasks (HD Pro only). Identify when you're clicking the mouse by using a mouse action. Record from iSight & DV cameras: Personalize your presentation using your built-in iSight camera, or indeed any connected camera! Upload to YouTube / Blip.TV: Upload your finished product directly to YouTube or Blip.TV2. Built-in presets to get the best quality. Point & Shoot: Don't be restricted to capturing only the full screen. HD lets you specify your own capture area. Say goodbye to "post cropping" of video. Real-time super fast scaling: Want to record at half the size? 2560×1900 into 720p? Now it's no longer a problem - iShowU HD has realtime super quick GPU scaling.